Has you may have already know in Windows10, the Recycle is just a folder/directory. But a special one. Because it is able to help you restore your files if you mistakenly deleted them, and also you can use it to keep track of all the files you have deleted in your computer for the past 30 days. 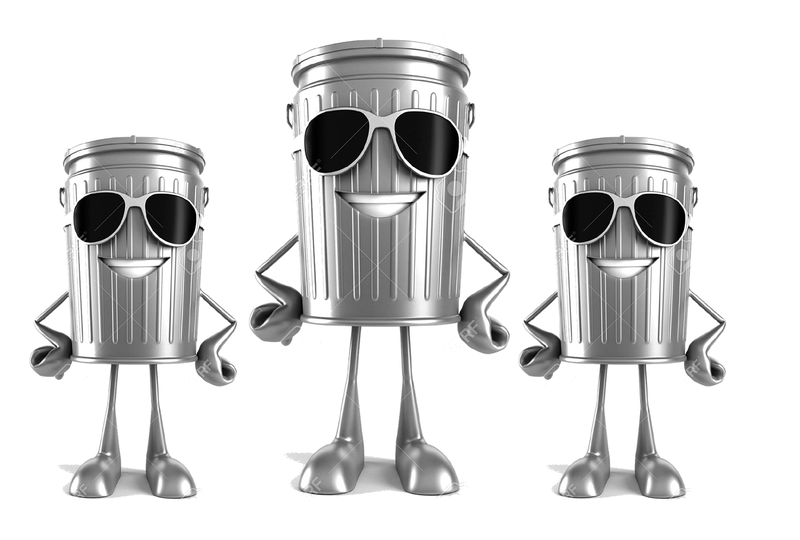 But there is more to the function and customization of the Windows10 Recycle Bin that you might not be aware of, that is why we are here using this medium to expatiate on the Recycle Bin more to you. So without further waste of time let us start. If you already know this tip, then click >>> HERE<<< to jump to the next. It is true the Recycle Bin icon in Windows10 is nice, but if you wish it looks like something else, then you can make it happen. Microsoft included over 50 different other designs/icon you can use to represent your Recycle Bin, but if any of those do not match your taste, then you can use your own designed icon or one you download to replace the current one in your computer. To change the Recycle Bin Icon, do the following. In the Personalization screen of the Windows10 Settings app that appears, select Themes from the left navigation bar, and then click on Desktop Icon Settings in the Related Settings section of the Themes option. Once done, a Desktop Icon Settings dialog box will appear. Next select the Recycle Bin Icon which you want to change and click the Change Icon… button. In the Change Icon box that will display, select one of the pre-design option from the Select an icon from the list below: or you can click the Browse… button to import the one you have designed or downloaded. Finally click OK to exit the Change icon box and then click OK again in the Desktop Icon Settings to apply the change and exit out also. If you already know this tip, the click >>> HERE<<< to jump to the next. It is a known fact that Recycle Bin eats 10% of your hard drive, and you will agree will us that 10% is no small space. 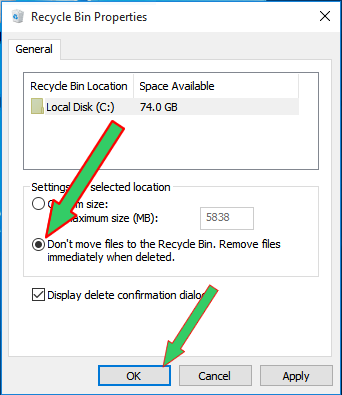 So if for any reason you no longer want your files to be moved to the Recycle Bin once you delete them, then the steps outline below will help you out. But note that, once you have activated the Recycle Bin bypass in your Windows10 computer, then anything you delete (whether intentionally or unintentionally) will be permanently removed from your computer with no hope of your getting it back, unless you have backed it up previously. So we do not recommend this if you are someone the Recycle Bin have serve has and is serving as a life saver to you. if you are not, then here is what you need to do. Right-click on the Recycle Bin icon in your Desktop, and select Properties is the menu list. Once the Recycle Bin Properties dialog box appear, check the option Don’t move files to Recycle Bin. Remove files immediately when deleted which is under the Settings for selected location section. Adding the Recycle Bin Icon to the Start Menu Application thumbnails section of Windows10 is quite simple. All you need to do is to, right-click on the Recycle Bin icon on the desktop and click on Pin to Start Menu from the right-click menu. 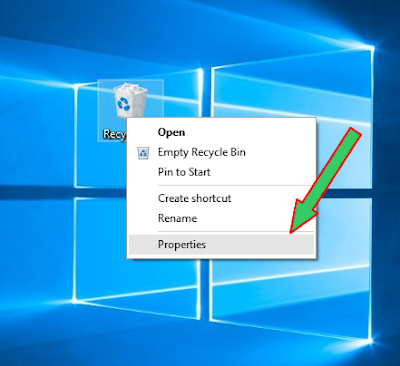 Once you have pinned the Recycle Bin to that Start Menu, what you need do not to make the Recycle Bin appear in the taskbar is to open the Start Menu, right-click on the Recycle Bin icon in the Start Menu and click on Pin to taskbar. So the logic is, to add or pin the Recycle Bin to taskbar in Windows10, you need to first of all add or pin it to the Start Menu. Note: It seems that the some of the previous build of Windows10 might not be able to pin to taskbar, but there are sure to be able to pin the Start Menu. Themes are cool. True. And their ability to change/customize the default system icons make them more cool. But if you do not wish to give themes this privilege, then this guide will help you out. But note that following through with this guide means that no default system icon will be changed by a theme you apply not just the Recycle Bin. Open the Desktop Icon Settings dialog box. Click >>> HERE <<< to refer to the guide above to remain yourself how to do this. Next ucheck the checked box labeled Allow themes to change desktop icons. And then click OK to save the changes. From that moment on, not themes you apply to your Windows10 computer will be able to change or customize the Recycle Bin Icon. 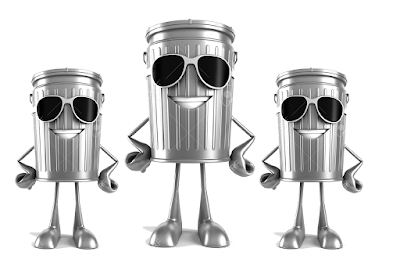 Once you open the Recycle Bin, you will notice the content of the Recycle Bin (i.e. the files and folders in the Recycle Bin) might not be arranged according to the date they are deleted. And even when you change the Sort type to make the content be arranged according to the date they are deleted, the precise date that a file is deleted will still not be shown to you. So if you are particular about knowing the precise date and time a file was deleted, all you need do is to right-click on that file which is in the Recycle Bin, and click on Properties in the right-click menu. When the Properties of that file pop-up, you will not only be shown the precise date and time the file was deleted, you will also be shown the date the file was created, the size of the file, which type of file is it and an option to restore (i.e. undelete) the file. We hope that with this tip you will be able to get the mastery over the Recycle Bin in your Windows10 computer. If you have anything you will like to know about the Recycle Bin, please do not hesitate to ask us using the comment form below.